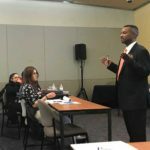 When you involved in lawsuit or EEOC investigation for employment discrimination in the workplace, your goal is to save the company’s reputation and to avoid large jury verdicts in Colorado. Having aggressive employer defense attorneys onboard early in the case can defuse the situation and reduce the chances of costly employment discrimination litigation. The Colorado employment discrimination lawyers at Watson defend employers against allegations of workplace discrimination and investigate the facts to create viable employer defenses to discrimination claims. With years of experience, our Denver employment defense lawyers can respond with employer rebuttal position statements, conduct workplace discrimination investigations and offer employment defense when litigation occurs. Contact us to avoid costly legal mistakes. “Our agency is extremely appreciative of the consultation and direction that Theodore Watson and his associates have provided us over the last five years regarding several areas of government contracting, including SBA and FOIA. When an EEOC discrimination charge is filed, employers must immediately respond with an employer position statement. A Denver employment discrimination lawyer at Watson & Associates LLC will help with investigating the facts and develop a sound legal defense as part of your position statement. Our goal is to reduce the possibility of employment discrimination litigation and substantial jury awards at trial. The first challenge to many Colorado employers is to respond a workplace discrimination charge with a viable employer position statement. Answering without the help of legal counsel can prove to be a dangerous mistake. The EEOC also bases its findings on how you respond to the discrimination charge. Watson’s employment discrimination lawyers are ready to take on the challenge. and solidify the basis for a viable legal defense. At Watson & Associates, our employment discrimination lawyers and employer defense attorneys represent employers throughout Colorado and prepare and aggressively defend Colorado employers at trial. We develop a litigation team of professionals that match any large employment law firm for the employee. Colorado companies can take advantage of our one-stop shopping for business law and employment defense legal services. We are not just Denver employment discrimination lawyers but we also handle a wide variety of business law and corporate legal advice matters. To protect your company’s legal rights in Colorado employment law matters, you should engage legal counsel at the beginning. You never want to waive your rights. Contact our Denver employer defense lawyers for immediate help. Washington DC, Virginia, Maryland, Colorado and Nationwide.